What is Karbon? 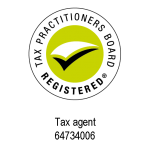 - James Gock & Co.
Karbon is our workflow management system that helps us keep on top of all our clients’ work. As our client, from time to time, you may receive emails from our team members containing a checklist of items. This checklist is sent to you via Karbon. What is a Karbon Checklist? Karbon checklists make it easier for us, as your accountant, to request information that we need and to remind you of things you need to do. It’s a secure and easy way to communicate with us and keep track of the progress of your accounting work. What is the PIN and why do I need it? To keep your checklist secure, you access it with a 4-digit numeric PIN. The first time you visit the checklist you’ll be asked to choose a PIN. 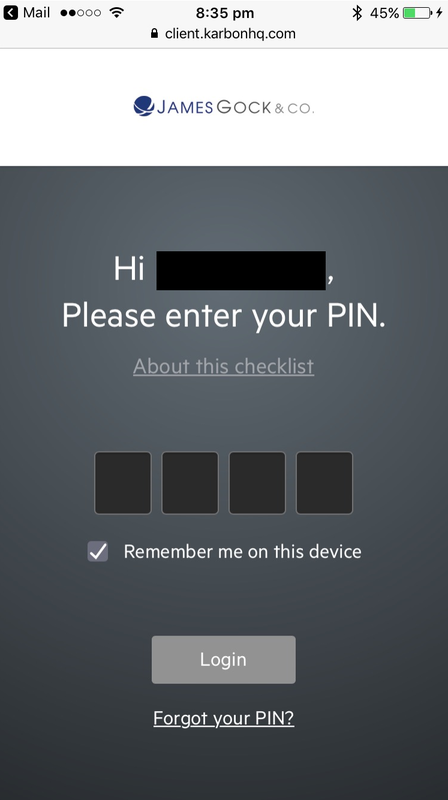 If you logout of the checklist or view the checklist on another device, you will be asked to enter this PIN again. If you forget your PIN at any time, just click “Forgot your PIN” to reset it. Please read and complete each checklist item from your accountant. Once you complete an item, check it off to notify your accountant that it’s done. If you click on the title or description of a checklist item, it will expand to reveal more information. Sometimes you’ll have a question or comment for your accountant about a checklist item. To add a comment, click “Add a comment or upload files” at the bottom of the checklist item. This expands the checklist item and reveals a comment input window for you to write your message. You’ll also see a paperclip icon, click this icon to upload files along with your comment. When you add a comment or upload files your accountant will be notified and can respond if needed.